In other religions, even the ones which claim belief in "One God", people often approach God through an intermediary, such as a saint, an angel, the Virgin Mary or Jesus. However, it is only in Islam that a person is required only to pray to God. According to the teachings of Islam, everything that a human being does with the pure intention of pleasing God is an act of worship. Due to this, Islam has an all encompassing concept of worship unlike any other religion. Almighty God has revealed in the Noble Qur'an that His purpose for creating human beings was to worship Him and Him alone. Like other religions, Islam has required acts of worship, however worship in Islam is not limited to rituals. Since Islam is an all-encompassing religion with guidance for all aspects of life, almost every action in a Muslim's life becomes an act of worship if it is done to build a better relationship with God. Since man's purpose in life is to worship and submit to God, worship in Islam has been defined by God Himself in an all-encompassing way. This special uniqueness can also be seen in the fact that most other religions only require formal worship once per week, while Islam requires it five times a day. Even more importantly, all rites of formal worship in Islam are based on Divine revelation, while the modes of worship in other religions are a mixture of Divine revelation, man-made traditions, opinions of clergymen and religious councils. Additionally, in Islam acts of worship such as prayer and fasting have been described by God and His Prophet in such detail that it gives human beings a feeling of assurance that the way they are worshipping God is pleasing to Him. The preservation of the scripture of Islam -- the Noble Qur'an -- is unique among world religions. No other religion has a scripture which is both as old and as well-preserved as the one possessed by Muslims today. Even scholars who are hostile to Islam admit that the Qur'an that exists today is exactly the same as the one that existed in the time of the Prophet Muhammad. Even though many people mistakenly assume that the Qur'an (also spelled Koran) was written by Muhammad, it is actually the literal Word of God. Not only was Muhammad known by his people to be unable to read and write, but the Noble Qur'an clearly and repeatedly exclaims that it is from Almighty God - the Lord of the Universe. Unlike other religions, the followers of Islam have always considered their scripture to be the Word of God in toto. The scriptures of other religions are made up of writings that were not considered to be scripture until many years after they were written - the letters of (St.) Paul are a good example of this. Additionally, the Noble Qur'an has always been in the possession of the common believer, and as such was circulated very widely. In this way, Muslims know that their scripture is authentic, unlike other so-called "scriptures" which are still claimed to be scripture even though their authors are unknown. The Qur'an also remained pure and authentic because unlike other scriptures, it was written down and memorized in the lifetime of the prophet that it was revealed to. Also, its wide circulation prevented scholars, clergy and religious councils from deciding what should and should not be part of the scripture -- since it was already in the hands of the people in its complete form. It has always amazed people to find out that the entire Qur'an was not only memorized word-for-word by hundreds of the companions of Prophet Muhammad, but that it has been memorized verbatim by thousands upon thousands of people until this very day in its original language of Arabic. It was only natural for Almighty God to preserve the scripture revealed to Prophet Muhammad, because he was the last Prophet and Final Messenger of God. In short, the Qu'ran is a unique scripture that has come down to us in its original form and unique language. Due to its pristine teachings and unquestionable authenticity, the Qur'an removes the need for man to wonder for himself how to worship and please God, since God Himself has clearly described these things. Islam has just as much meaning and is just as applicable to people living in today's "modern world" as it did for people living 1400 years ago. Since the message of Islam is eternally true it is also very robust, and as such still has a strong spiritual impact on millions of people living in the world today. The Pure Monotheism of Islam, as well as its universal brotherhood/sisterhood, strong morals and positive outlook on life, is still very relevant and meaningful to modern societies. The continued relevance and applicability to both the spiritual and worldly life of human beings from all around the word is just one of the many proofs of the Divine origin of the message of Islam. Unlike the teachings of other religions, the teachings of Islam don't need to be updated or watered-down in order to appeal to a human being living in today's troubled world. Since the teachings of Islam are both spiritually true and eternally practical, they can be lived and implemented in the daily life of a person in order to make their life more fulfilling. In short, unique among world religions, Islam has not had to sacrifice its integrity in order to be both applicable to "modern life" and to have enough spiritual impact to change people's lives. Most people will agree that having a strong self-esteem and a positive outlook on life is conducive to achieving happiness and success. Unique among the religions of the world, Islam's view of both the nature of the human being and the purpose of life are extremely positive. Islam's view of the nature of the human being is balanced. On the one hand they are not viewed as being inherently evil, but on the other they are not considered to be perfect - nor are they expected to be so. According to the teachings of Islam, every human being, man or woman, is born with a clean slate and is equally capable of both good and evil. Since God has bestowed limited free-will on human beings, they will ultimately be held responsible for their actions. Believing that "salvation" is based on "faith alone" reduces human life to a near meaningless and fatalistic existence. The teachings of Islam make it clear that human beings, since their nature is basically good, are capable of positive action in this life, and that the best way to achieve a balanced, happy and fulfilled life is complete submission to Almighty God. Certainly, no person can completely submit to God by simply wanting to do so, but by first realizing that none has a right to be worshipped and obeyed except for Almighty God, and then making a reasonable effort to follow God's commands, all human beings can fulfill their reason for existence - which is to worship God alone. . The Noble Qur'an tells us that "man was created weak" and thus falls into sin often. On the other hand, man is not to think of himself as so evil and corrupt so as to despair of God's mercy. As a recourse to this, and since Islam condemns self-righteousness, a pious life can only be lived by trusting in God -- since there is no power or strength except through God. As such, spiritual felicity is achieved by a combination of both faith and action. As such, the most righteous person is not one who thinks that repentance is unnecessary, but the one who admits and realizes his mistakes - and then repents. According to the word of Almighty God as revealed in the Holy Qur'an, mankind is God's trustee on earth; and as such the life of this world is a test, not a punishment. Even before God created the first man, He knew that he would sin, however God created man in spite of this. 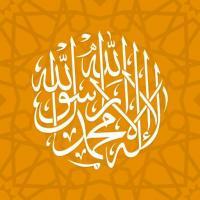 According to the Qur'an, God has bestowed on human beings a great trust and given them dignity. It is only by worshipping Almighty God, directly and without intermediaries, that a human being can fulfull their true innate nature and purpose of existence. In short, Islam is realistic. It portrays human beings just as they are and the life of the world just as it is. Since the outlook of Islam is divinely revealed is not based on wishful or negative thinking, but simply on reality. Islam also has a positive view of mankind in general, since it teaches that the best person in the sight of God is the one who is most God-conscious. In this way the truth of Islam and the universality of God's message transcends all of the barriers of race, nationality, ethnic group and economic status.